In the world of hack and slash games, there’s the Diablo series, and then there’s everything else. Actually, the original 1996 Diablo game was a revelation that gained American company Blizzard millions of fans worldwide, and its great sequel was equally well received. 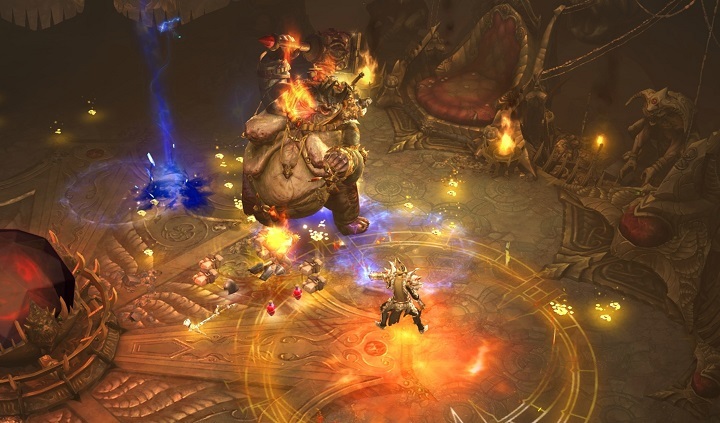 And although 2012’s Diablo 3 had a rocky launch leading to initial gamer dissatisfaction, it eventually became a hit, selling more than 30 million copies worldwide to date according to Polygon. So it makes sense that plenty of gamers were excited when rumours surfaced online that Blizzard might announce another Diablo game soon… This had to do with a bag of goodies being handed in advance to attendees of the Blizzcon 2016 event this November, which included Diablo-themed dice. These dice can read “1-1-4” when rolled as explained in this YouTuber’s video. And while this may simply mean November 4 (11-4, the date Blizzcon begins), others think it may be a subtle clue that an announcement of Diablo 4 is imminent. Also, former Blizzard employee David Brevik, who is also a former Diablo developer, recently tweeted that “Diablo-like games have evolved & surprised us”, adding in the same tweet that “I’m proud to be the adviser for the game that pushes this genre to new heights”. Many people read into this that he might be working on a Diablo-style game (perhaps the eagerly awaited Diablo 4) now, despite Brevik’s denial in a later tweet. This is all rumours and speculation for the time being though, but we’ll know for sure what Blizzard has in store for its fans soon enough, when their Blizzcon event gets going early next month, on November 4.